Eco-Action is the College of the Holy Cross’s student environmental concerns organization. We grow campus consciousness of our relationship to the environment by organizing education, service, and action opportunities in our community. In doing so, we build relationships with departments and student groups across campus, Worcester organizations, and political campaigns for environmental and social justice. This year in particular, we are celebrating the launch of our Sustainable U Campaign through our Sustain-a-Bash event on September 25th from 1-4pm on the Hoval. This campaign reaffirms and emphasizes Eco-Action's continued commitment to creating a more sustainable campus community. We will be using the United Nation's 17 Sustainable Development Goals as our guide as we unveil a strategic plan committed to both social justice and environmental action. Like the UN, one of Eco-Action's 17 guiding principles, or goals, for this year is creating and supporting events that focus on reducing inequalities and promoting sustainable communities. We believe that economic growth is not sufficient to reduce poverty if it is not inclusive, and does not address the needs of disadvantaged and marginalized populations. Additionally, we believe that in order to sustain human life on Earth, the places where we live, work, and learn must be inclusive, safe, resilient and sustainable. We are also placing a greater emphasis on promoting a more sustainable Worcester community; the future we want includes a city of opportunities for all, with access to basic services, energy, housing, transportation and more. Join us at the Sustain-a-Bash on September 25th as we celebrate the launch of the Sustainable U campaign with local environmental and social justice groups. Eat good food, have fun, and learn about ways in which you can help make our campus and community a more sustainable place to live and learn! Eco-Action is the College of the Holy Cross’s student environmental concerns organization (College of the Holy Cross is an undergraduate, 4-year Jesuit institution in Worcester, MA). We grow campus consciousness of our relationship to the environment by organizing education, service, and action opportunities in our community. In doing so, we build relationships with departments and student groups across campus, Worcester organizations, and political campaigns for environmental and social justice. This year in particular, we are celebrating the launch of our Sustainable U Campaign. This campaign reaffirms and emphasizes Eco-Action's continued commitment to creating a more sustainable campus community. 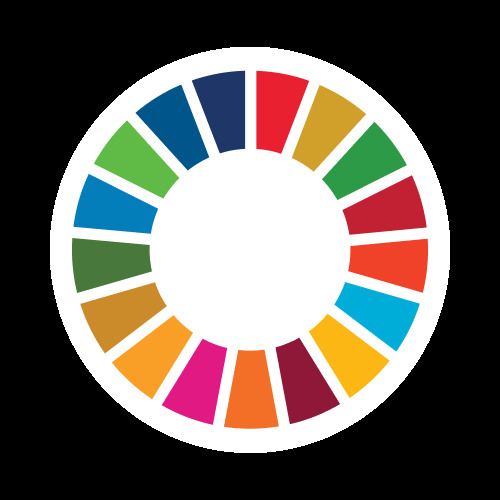 We will be using the United Nation's 17 Sustainable Development Goals as our guide as we unveil a strategic plan committed to both social justice and environmental action. Like the UN, one of Eco-Action's 17 guiding principles, or goals, for this year is creating and supporting events that focus on reducing inequalities and promoting sustainable communities. We believe that economic growth is not sufficient to reduce poverty if it is not inclusive, and does not address the needs of disadvantaged and marginalized populations. Additionally, we believe that in order to sustain human life on Earth, the places where we live, work, and learn must be inclusive, safe, resilient and sustainable. We are also placing a greater emphasis on promoting a more sustainable Worcester community; the future we want includes a city of opportunities for all, with access to basic services, energy, housing, transportation and more. We hope that these efforts will support and create events that make our campus and community a more sustainable place to live and learn.